The Warren Giles Trophy is awarded each year to the National League Champion. Giles served as NL president from 1951-1969. Giles would eventually gain induction in his own right in 1979. One of the perks of being National League president is interacting with former players. 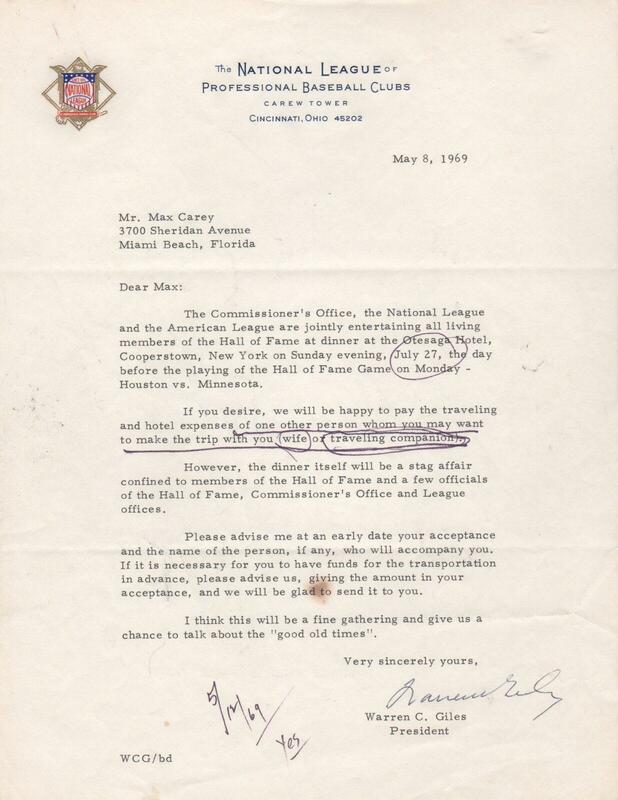 In this letter dated March 8, 1969 NL boss Warren Giles writes to Max Carey saying in part, “The Commissioner’s Office, the National and American Leagues are jointly entertaining all living members of the Hall of Fame at a dinner at the Otesaga Hotel, Cooperstown, New York…”. 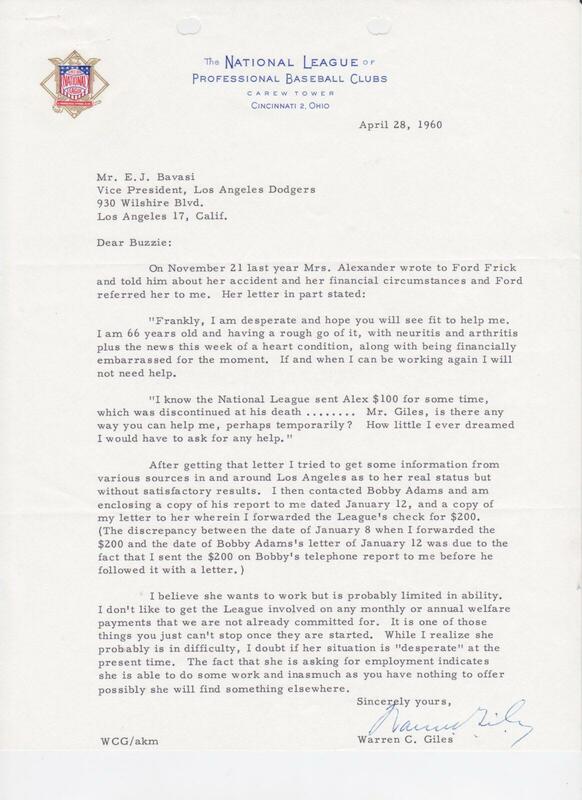 The letter is nicely presented on National League letterhead. Giles has neatly signed the bottom of this correspondence between two Hall of Famers. 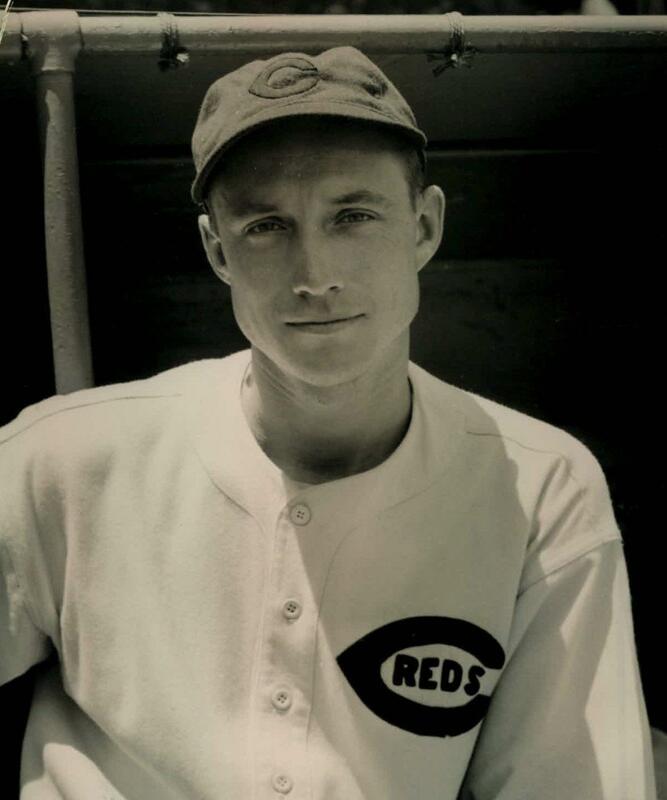 Inducted into the Cincinnati Reds Hall of Fame in 1958, Bucky Walters was the second of three consecutive Reds to win the NL MVP Award. First came Ernie Lombardi in 1938, then Walters, then Frank McCormick in 1940. Shown here is a letter from then-Vice President and General Manager of the Red, Hall of Fame executive Warren Giles. 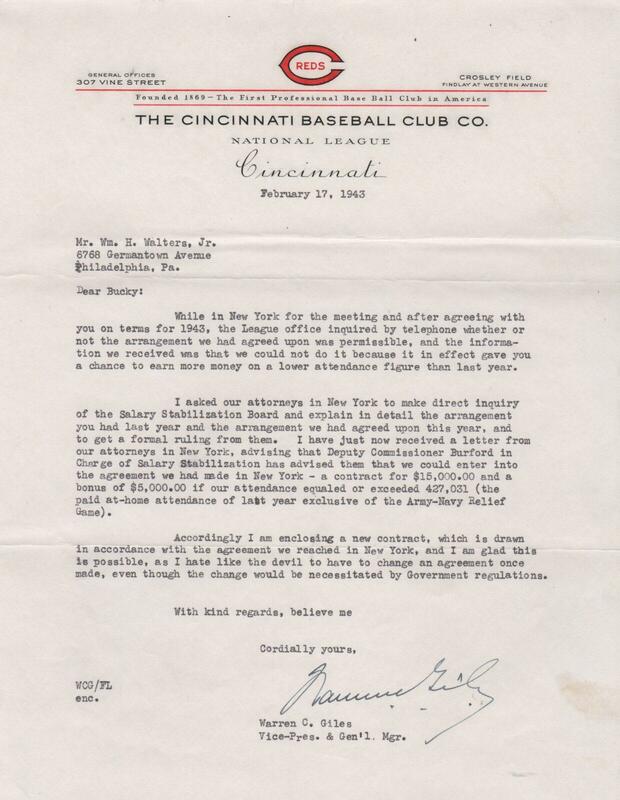 Dated February 17, 1943 the letter is in regard to contract stipulations for the upcoming two seasons. Nice content from one Hall of Famer to a man many hope will someday gain induction. A strong Hall of Fame case can be made for Wes Ferrell. 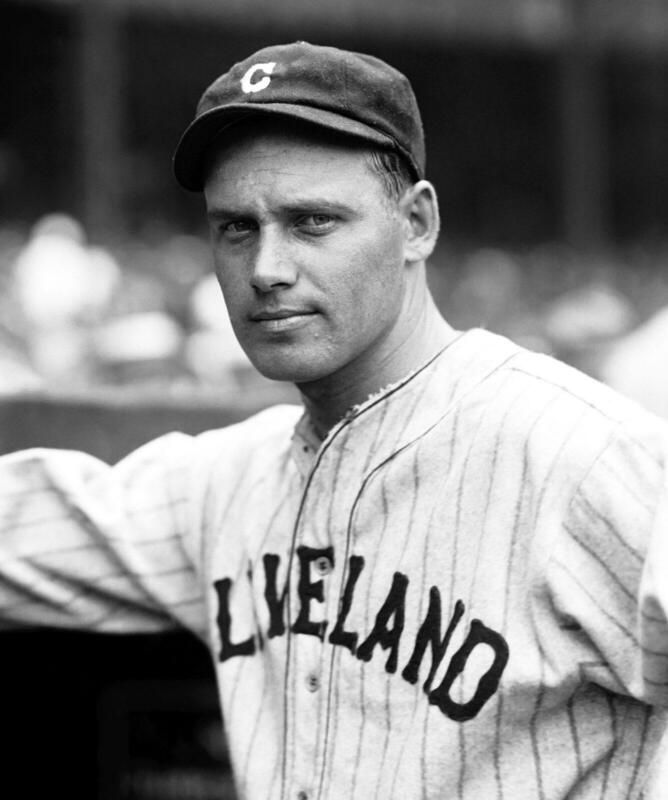 The six twenty-win seasons were complimented by an appearance in the sport’s first All Star game in 1933. In the collection is National League president Warren Giles’ response to a fan about Ferrell’s Cooperstown candidacy. 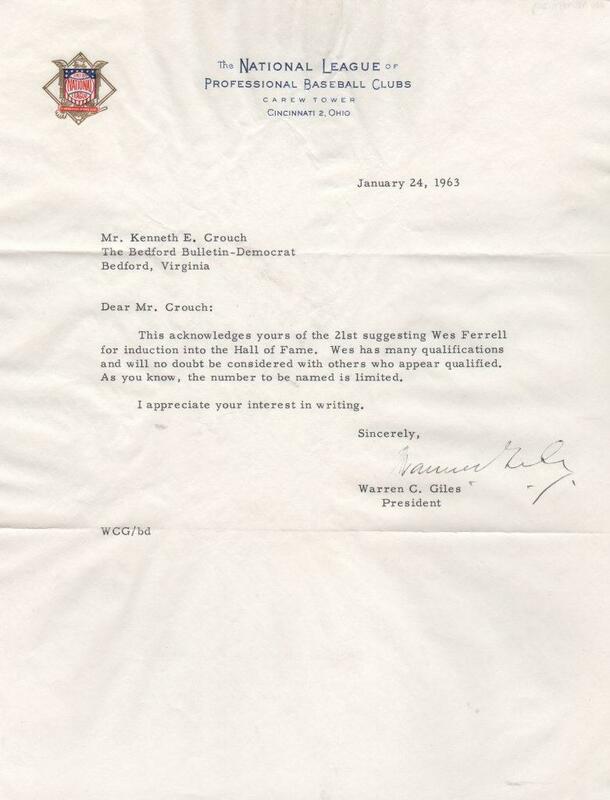 A Hall of Famer himself, Giles writes, “Wes has many qualifications and will no doubt be considered with others who appear qualified.” Giles has signed this letter at the bottom. 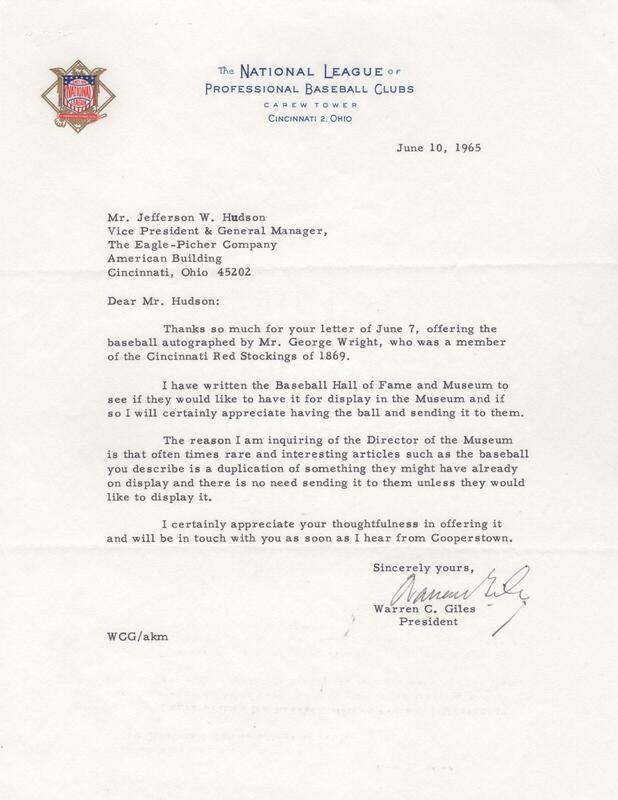 Shown here is a letter signed by then-National League president and future Hall of Famer Warren Giles in which he discusses a baseball autographed by the first batter in NL history, George Wright. In the correspondence dated June 10, 1965, Giles thanks Jefferson W.
Shown here is a letter signed by then-National League president and future Hall of Famer Warren Giles in which he discusses a baseball autographed by the first batter in NL history, George Wright. 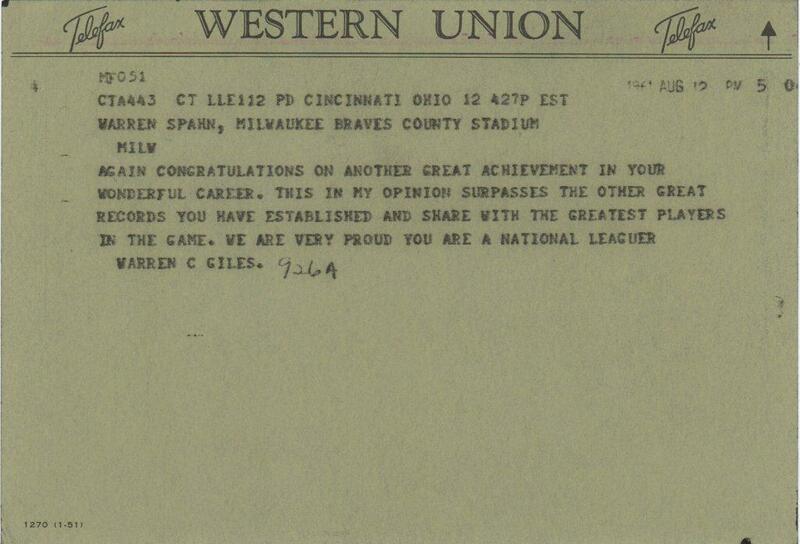 In the correspondence dated June 10, 1965, Giles thanks Jefferson W. Hudson of the Eagle-Picher Company that was located just one mile away from the National League offices in Cincinnati. “Thanks for much for…offering the baseball autographed by Mr. George Wright, who was a member of the Cincinnati Red Stockings of 1869,” Giles writes. The NL boss continues in telling Hudson that Giles has written to the Hall to see if they’d like to have the ball for display. He goes on to say that often such artifacts are duplicates and that there might be no need to send the ball unless the Hall wants to display it. It’s difficult to imagine the Hall of Fame having two baseballs autographed by one of the earliest stars of the game. 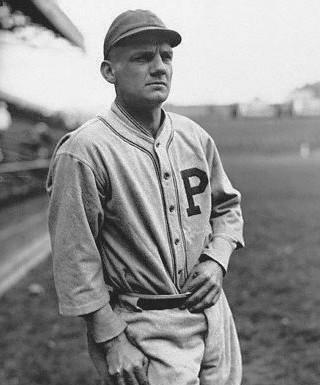 Wright was considered the best player in the game when baseball first began. 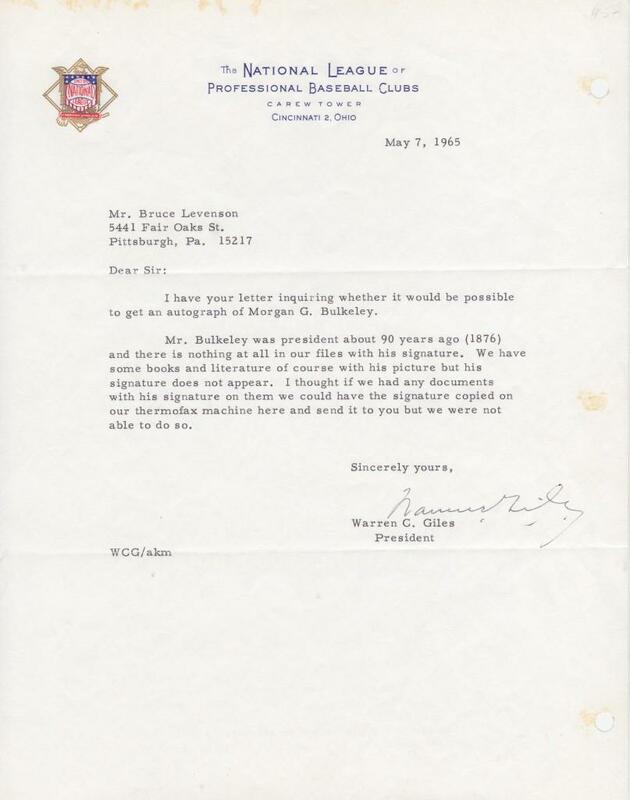 Interestingly, Giles was the president of the National League when he wrote this letter regarding the first batter in NL history. 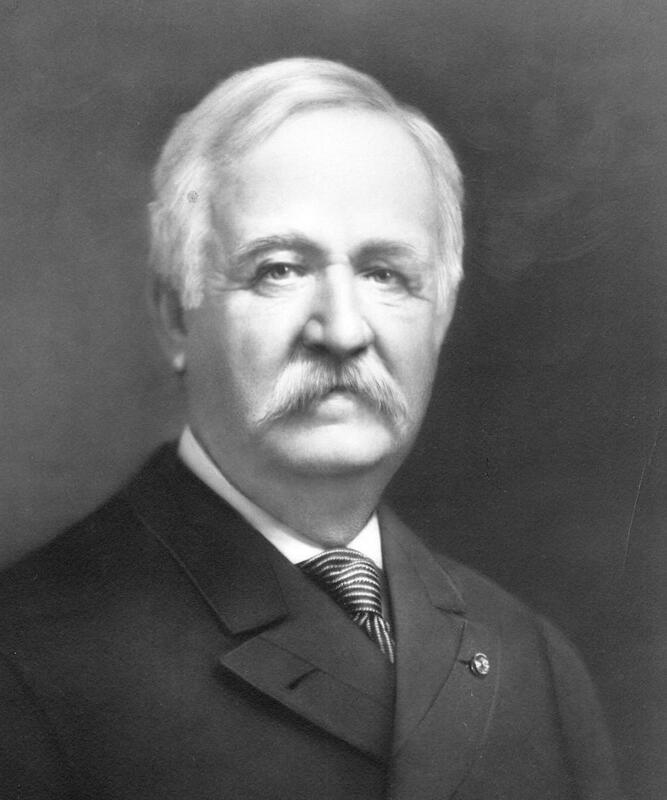 In his capacity as National League president Warren Giles signed many documents. This contract holds historical significance because it’s for an MVP year. Ken Boyer’s Hall of Fame credentials are many. A 7-time All Star, 5-time Gold Glover, and 1964 Most Valuable Player, Boyer hit over . In his capacity as National League president Warren Giles signed many documents. This contract holds historical significance because it’s for an MVP year. Ken Boyer’s Hall of Fame credentials are many. 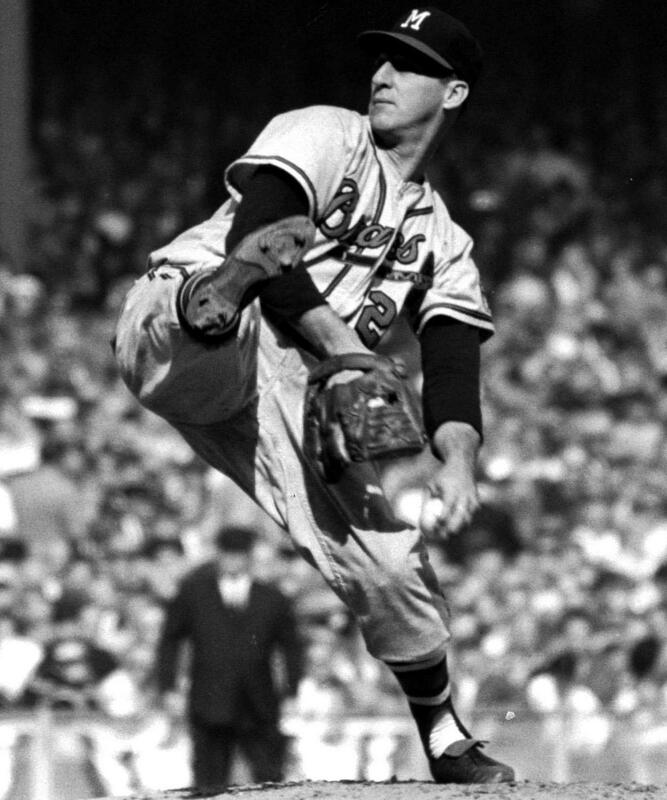 A 7-time All Star, 5-time Gold Glover, and 1964 Most Valuable Player, Boyer hit over .300 in five seasons and hit 20 or more homers in eight. 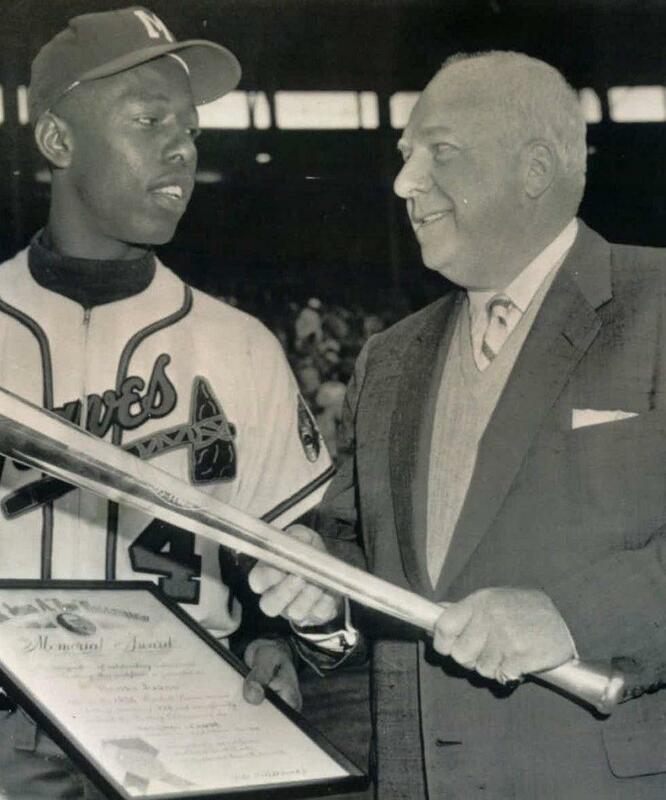 When he hit his 250th homer he joined Eddie Mathews as the only 3rd baseman in baseball history to reach the mark. Boyer retired with the 3rd highest slugging percentage by a third baseman. In the collection is the actual contract Boyer signed for his MVP season of 1964. It calls for him to make $50,000. Giles signature is found on the next image. 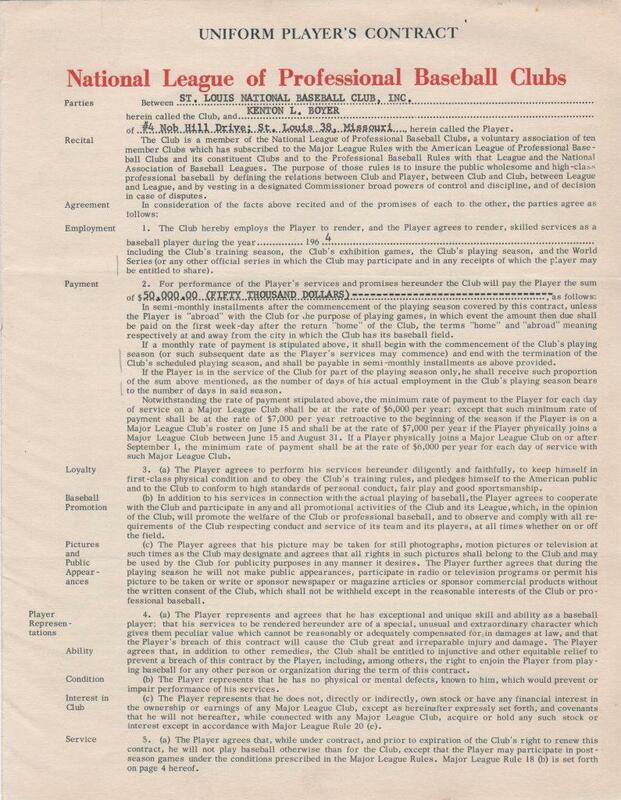 The third page of the standard four-page document holds the signature of Bing Devine in his position as General Manager of the St. Louis Cardinals and that of Hall of Fame executive Warren Giles. 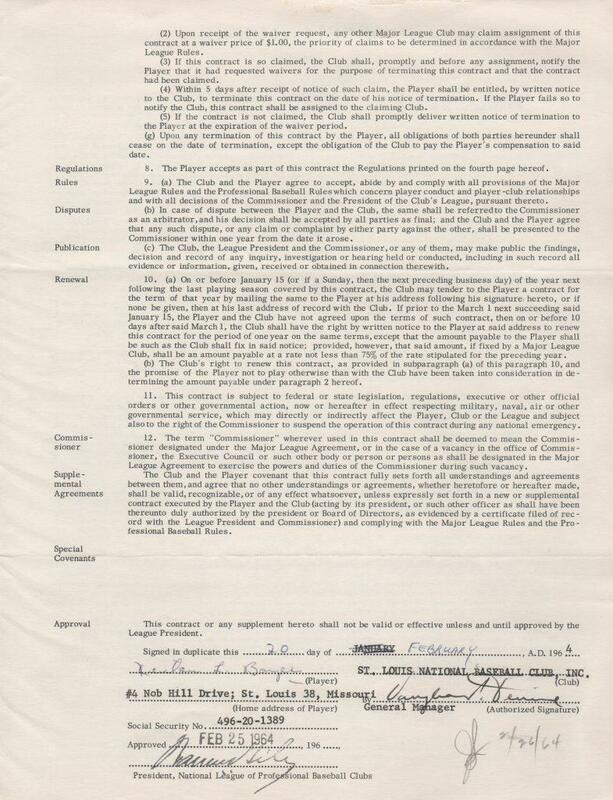 Ken Boyer has also penned his name on the deal dated February 20, 1964. 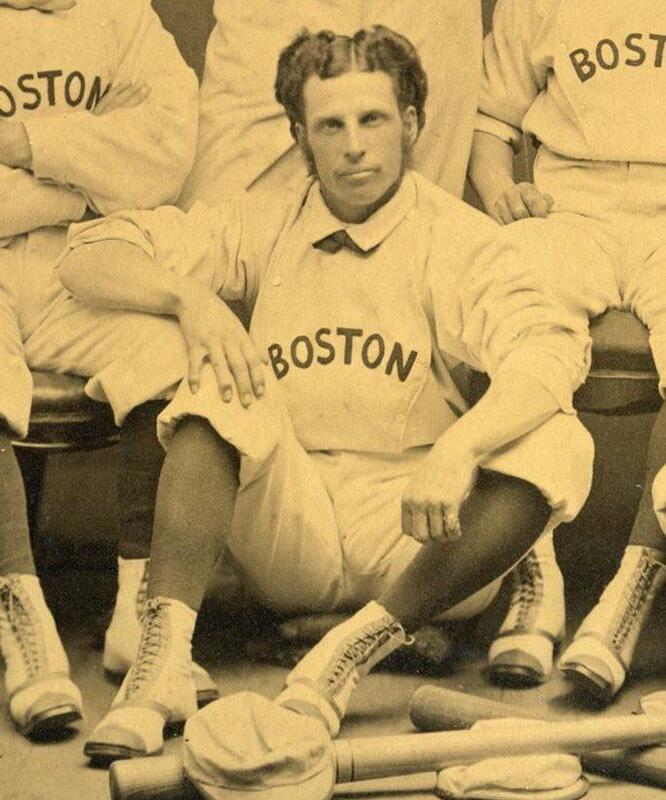 The season was the zenith for Boyer as he was voted the league MVP and earned his only World Series ring.